A relaxed and family orientated club. Where the aim is to chill out and have fun The club attends many shows during the year. As a member you would be entitled to put your car on our club stand and display it. Jolly day outings to places like Alton Towers/Thorpe Park Discounts in The Everything Rover Shop and the Euro Rover OC shop. The Euro Rover Owners Club is run by volunteers. No one takes money from it. Profits will be donated to National Children Charities, decided upon by the members. We will also support The 75ZT Enthusiasts with their projects to develop and make new replacement parts for our cars. A free to access, free to use social community of enthusiasts, owners, appreciators and collectors. 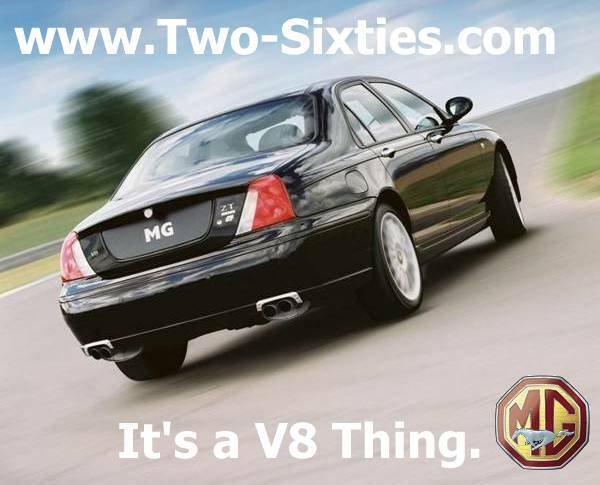 With expert knowledge of all things from MG to Rover and beyond. The Community forums strive to facilitate the free interchange of ideas and information about these cars both mechanical and electrical. Including sections dedicated to concise technical “Know How” documents compiled and photographed by our members. An ever growing list of members, garages and suppliers offering discounted products and services. A vibrant, thriving social aspect to the Community which is involved with meets and events throughout the country and abroad. R75.info is the Seventyfive related Web Community of all German speaking Seventyfive owners. Their members are coming from all over Europe, and some from even further away. The club now also boasts an English and Dutch language version and is full of like-minded folk who cherish their cars but also boast a wealth of knowledge and information about the marque. Feeling cosmopolitan? This is the place to visit! For the V8 owners and fanciers… these guys know their onions! Already heading off down the path of re-manufacturing hard to come by V8 bits n bobs, alongside being well versed in the search for the holy grail of power, sound and partying. It’s an honour to have them on our partnership page. The guys at the two-sixties also produce an excellent blog which is well worth a read and provides a fantastic insight into the 260. The blog can be found here. The Two-Sixties liaison here is Martin, who can be found on our forums. If you like cubic inches, this is the place to visit! The idea of the Wolverhampton Nano meets is to provide a meeting for owners of Rover 75/MG ZT motor cars to provide help with maintaining these superb vehicles and to keep as many as we can on the road. A meeting for the sole purpose (other than eating) of doing work on our cars. If you’ve a job or mod you’d like to do but don’t have the confidence to attempt by yourself this is the ideal opportunity as there will be plenty of forum members on hand to help and advise. You’re more than welcome to help others with their jobs as well. The meetings started as a small affair on a driveway with 4 cars, but now have grown into two day events with camping and merriment’s around a camp fire, with members from all the Rover 75 / MG ZT clubs travelling from all around the country, even Europe, to attend. Genuinely great fun yet utterly practical in purpose! The 75 & ZT Enthusiasts are very happy to promote these fantastic events! The Mid Lincs Rover Club. Founded in October 1987 and celebrating in 2013, the 20th rally at East Kirby, the Mid Lincs Rover Club is immensely proud of maintaining a family like atmosphere and attracting members of all ages. It has links with the Rover P4 Drivers Guild and most other national Rover Clubs, with the common interest of the preservation of classic cars. Meetings, which are conducted in an informal way, are held on the first Friday of each month in the Old Sunday School, Fotherby, near Louth and always end with a cup of tea. As a fellow Lincolnshire-based car club, the 75 & ZT Enthusiasts are extremely pleased to have a link with the Mid Lincs Rover Club.